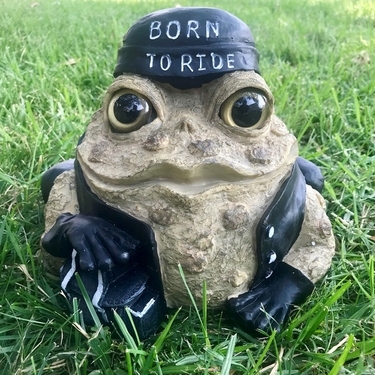 We were so excited to get this amazing new Biker Toad - Natural on the site, we haven't even had the chance to write a whimsical description! We have loved these toads for the past few years and are now thrilled to be carrying the Toads of Toad Hollow Biker Toads! Made from an extremely durable resin, molded and painted with acrylic. This Biker Toad is truly amazing in design and durability. You will love it!